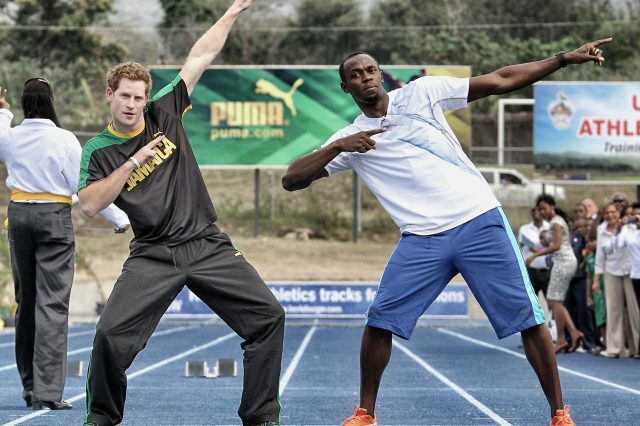 Prince Harry has unleashed his inner cheeky chappy on Usain Bolt, challenging him to a re-run. Taking to Twitter, the nation’s favourite ginger congratulated Bolt and wished him a ‘Happy 30th’ before posting a photo of their legendary race in Jamaica in 2012. 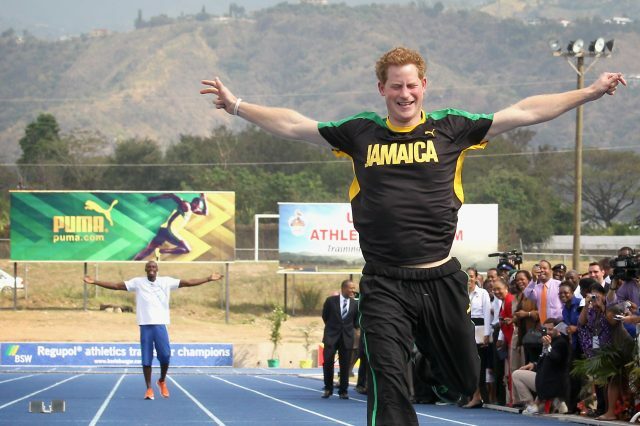 During that race, Prince Harry ‘won’ after a false start, leaving the Olympic champion trailing behind in fits of laughter. Fans of the extroverted Olympian and witty royal have shown their delight on social media at the idea of a rematch. The tweet received over 1,000 retweets and 5,000 likes, while Harry’s Instagram post has over 60k likes. Harry personalises his messages from the Kensington Palace Twitter feed by posting an H at the end. We’re glad to see Harry back making jokes on Twitter after his shaky relationship with social media, saying back in 2014 how he hated Twitter’s invasion of his privacy. Since their 2012 race, Bolt has made history with his triple-triple, winning 3 golds at 3 consecutive Olympic games. Bolt plans to retire from athletics after the world championships in London next year, but let’s hope someone can convince him to try and go for the quadruple-triple in Tokyo in four years’ time.